This reprint of jewelry and hollowware catalog pages from Georg Jensen brings eagerly sought information together in one volume. Hard to find, the original catalogs have been widely dispursed and costly, yet they provide primary information to enable identification of thousands of pieces found on the vintage market today. The jewelry section presents women's and men's gold and silver designs, including those sold at the retail store in New York that represented a selection of American-made items, and those made during the 1940s which were difficult to identify previously. The enormous section on hollowware displays hundreds of designs from the late 1950s and early 1960s. During this period Georg Jensen designers expanded their range of tea sets, pitchers, bowls, etc. to include very popular modern forms based on Scandinavian design principles. These designs have remained among the most cherished Jensen forms. The catalog descriptions include the product numbers, original retail prices from the mid-century era, measurements, and designers. A special information list identifies forty-three Georg Jensen designs in museum collections around the world. 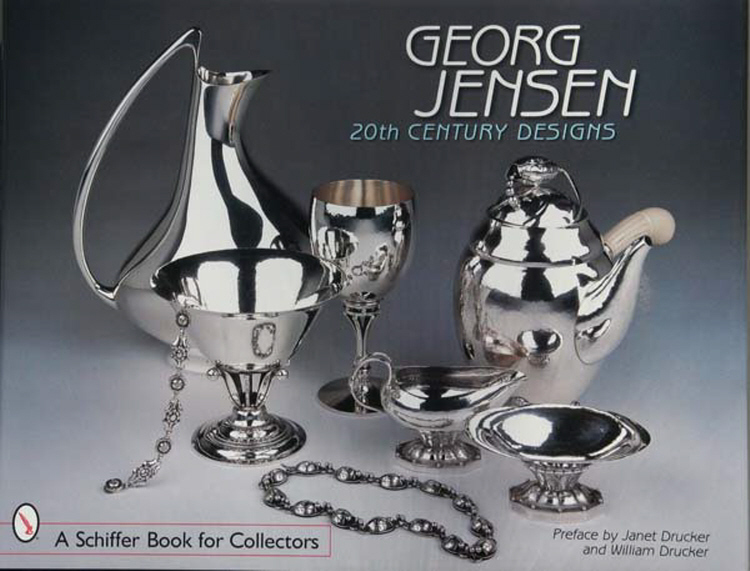 This easy-to-use volume will become a standard reference for all the collectors, dealers, auction houses, and individuals who own and are inspired by Georg Jensen designs.